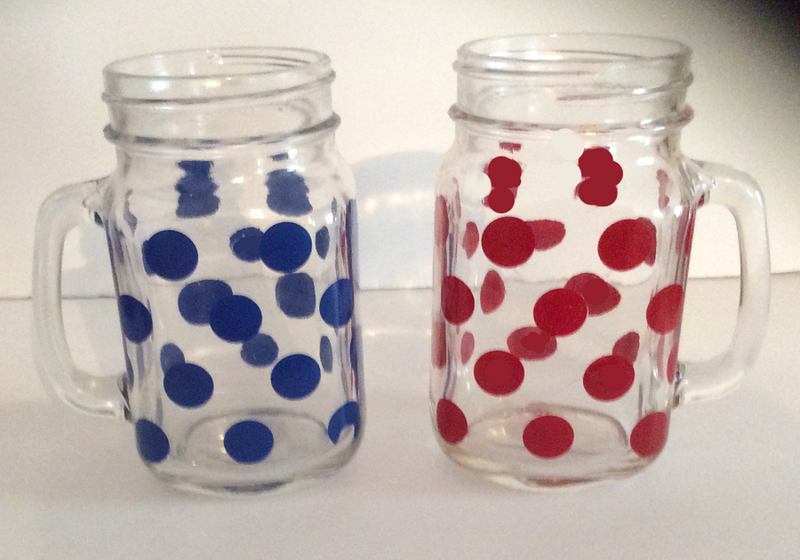 Mason Jars hand painted in poka dot and striped design are the new nostalgic rage from Days Gone By. Of course, we remember the mason jars from Granny canning and perserving jams and jellies. 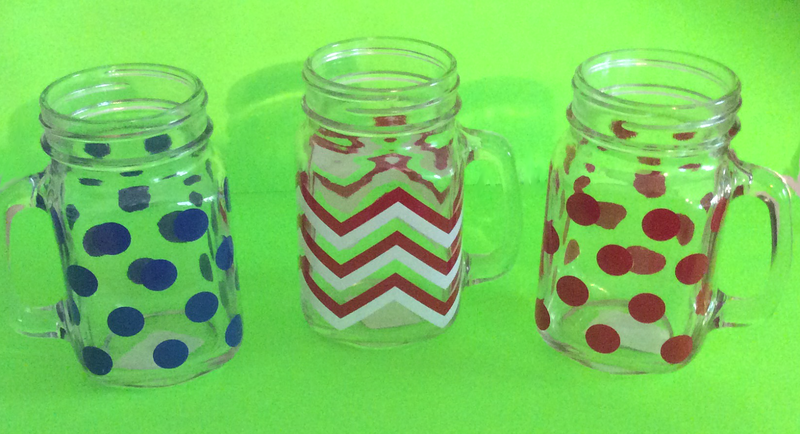 Now mason jars with handles are hand painted and used to drink various delectable drinks. According to an article from Think Progress written by Jessica Goldstein she writes and I quote a contributor Steve Hungsberg, Director of Marketing from Jarden Home Brands, "Elements of this widespread passion for Mason jars are a little puzzling. A Mason jar is clunky and somewhat cumbersome; versatile, but also limiting. They can’t be stacked to save space, like Tupperware or drinking glasses that are narrower at the base than at the lip. They’re breakable. They are heavier and wider than the average wineglass. What’s the continuing appeal?" I wholeheartedly agree. One thing I think that is so appealing about Mason Jars is the mixing with other pieces of vintage china and silverware for an outdoor party. Use linen table cloths and lots of flowers which, of course, Mason Jars can be used as the vases. Mixing of design elements creates of atmosphere of elegance yet simplicity. What are some of the ways you would use Mason Jars? Share with us what you like or don't like about them?